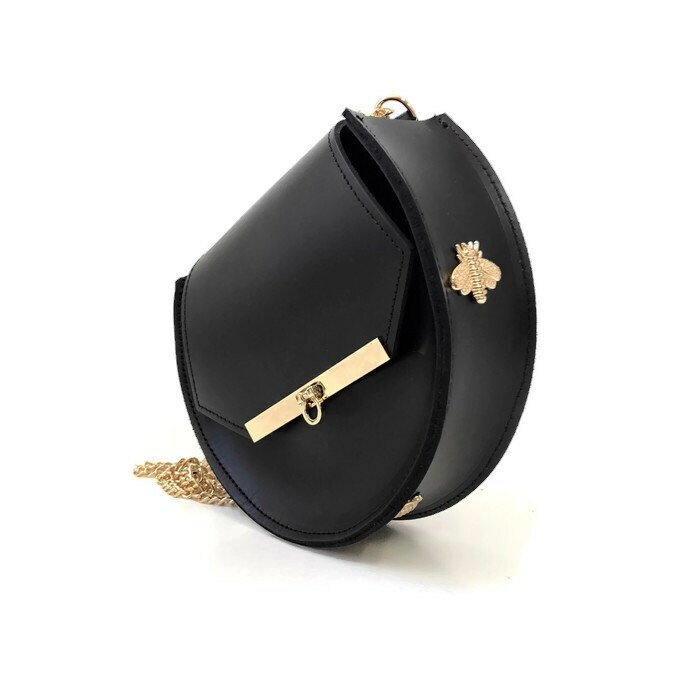 Modern shape meets vintage whimsy in our small structured chain bag. 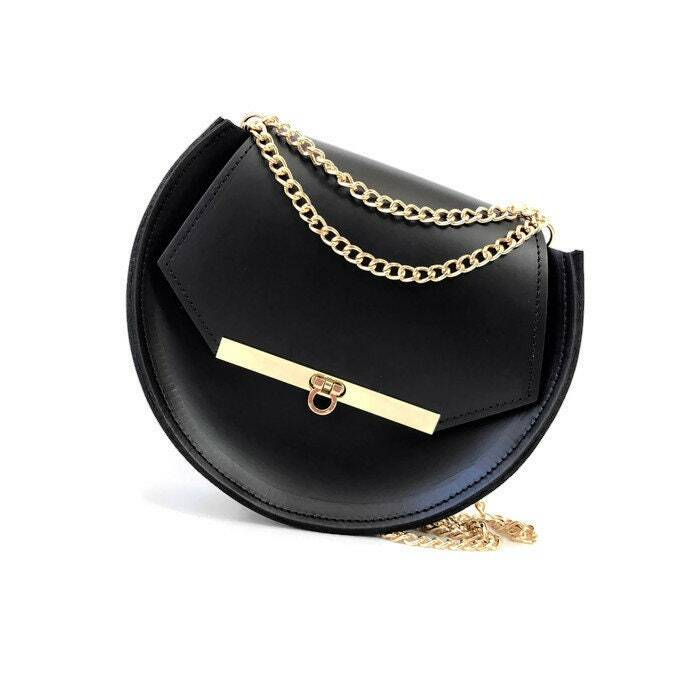 Timeless in classic black keeps you looking polished day or night. Light gold bees add a charming touch! 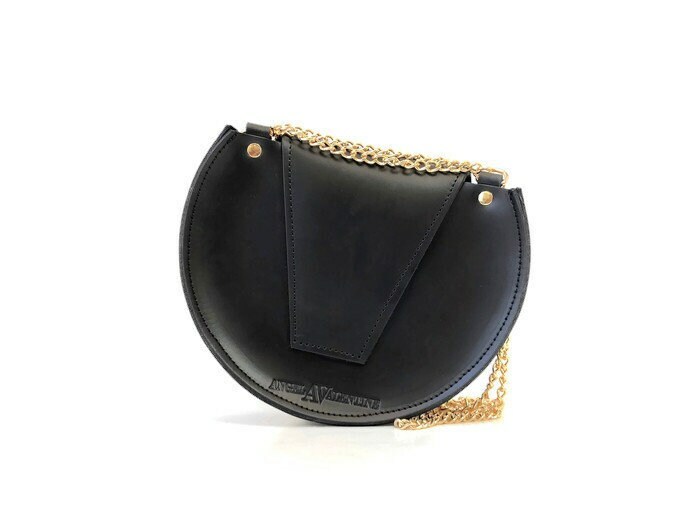 Wear it three ways; with the sliding chain long, doubled up as a shoulder bag or tucked in for a clutch. The perfect size and great quality.